This contemporary novel is about a middle-aged woman who travels to the family cottage to scatter the ashes of her husband, father and twin sister, only to discover that a mysterious and menacing stranger has claim-staked a portion of her property. In the course of dealing with this intrusion, she must also contend with her troubled past, her adversarial relationship with her sister and her own self-destructive tendencies. 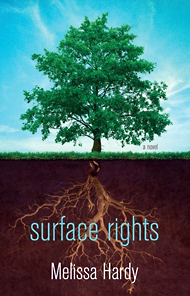 Surface Rights is a darkly funny novel about belonging, family, dogs, fear of fat, ghosts and place. This futuristic novel has all the elements YA fiction needs to draw critical attention from reviewers, and to elicit award-nominations. It is thematically interesting, culturally diverse, well-written, futuristic, and very funny. Set in the year 2021, this fantastic YA novel explores the tension between a young woman’s future building infrastructure for Augmented Reality, and the commitment she makes to her dying grandmother to honour ancient Chinese magic. The Geomancer’s Compass imagines a world in the near future while exploring the Chinese immigrant experience and the expanding, elastic and shifting nature of reality. I would like to acknowledge the support of the Ontario Arts Council during the writing of The Geomancer’s Compass. 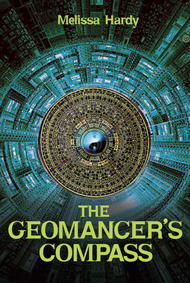 To order The Geomancers Compass, click here. 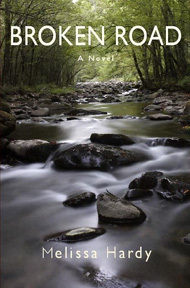 Broken Road, published by Exile Editions, 2009. Set against the historical backdrop of the events leading up to the Trail of Tears and deeply rooted in the mythology and sacred history of the “Real People” (the name by which the Cherokee referred to themselves), Broken Road is an account of the intense love-hate relationship between white Americans and the tribe that, more than any other, embraced white culture and emulated its institutions. It was a relationship that was to end in the destruction of the Cherokee way of life and the heartbreaking loss of their ancestral lands. I would like to acknowledge the support of the Ontario Arts Council during the writing of Broken Road. It can be ordered directly from Exile Editions (www.exileeditions.com), from www.amazon.ca or www.chapters.ca. 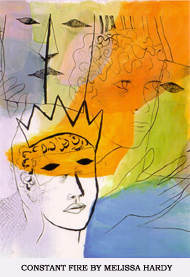 The Uncharted Heart, published by Knopf Canada, 2001. These stories bring to life the harsh struggles, the dreams, the greed, the obsessions, the xenophobia-and the love-experienced by the traders, trappers and prospectors who flocked to northern Ontario during the Porcupine Gold Rush (1900-1922). 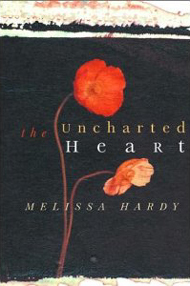 I would like to acknowledge the support of the Ontario Arts Council during the writing of The Uncharted Heart. It can be ordered directly from Knopf Canada at www.randomhouse.ca or at other online bookstores. I would like to acknowledge the support of the Ontario Arts Council during the writing of Constant Fire. You may order directly from me by email, or from online bookstores.